You probably don't even need a stand for your Apple Watch at all: you wear during the day, and you let it charge while you sleep. But this awesome Elago W3 stand is overflowing with nostalgia for the days when personal computing was a lot simple (but not better). 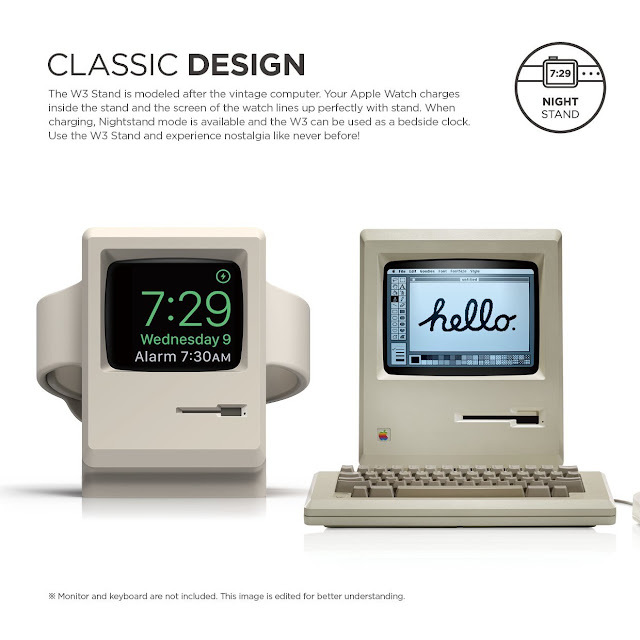 This silicone Elago W3 Apple Watch Stand (available only for $13.99 on Amazon) looks just like an old Apple Macintosh (circa 1984) in its clear white color of the past's computers. Perhaps you even owned one? If did not, fear not - this cool and wildly nerdy stand will show off your love for Apple to everyone!